Permanent Cosmetic Solutions – Be beautiful, naturally. frame the face and give a more youthful appearance. Call 515-321-9810 to schedule an appointment! brings out eye color and makes lashes appear thicker and darker. 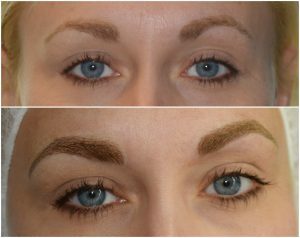 Eyebrows that are tattooed on by drawing fine hair-like strokes into the skin using a hand-held tool dipped in pigment. 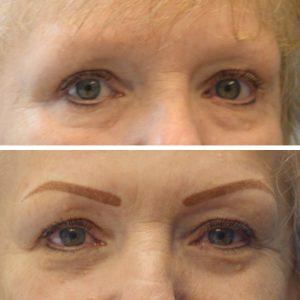 Permanent Makeup is the art of implanting color by tattooing the eyelash line, lips, or eyebrow region to improve one’s appearance. This is a great solution for women who pencil in their eyebrows, color and re-shape their lips, or simply for anyone who wears eyeliner every day. 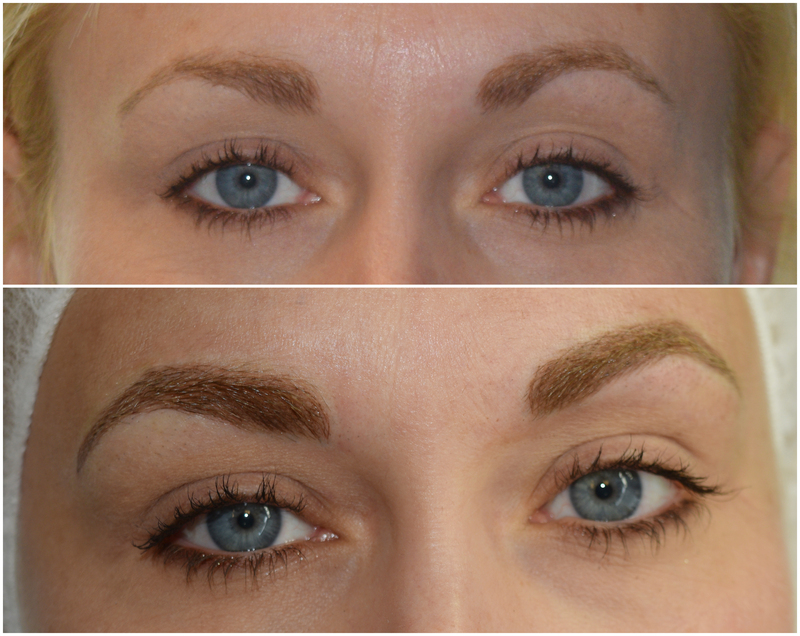 Women who don’t usually wear cosmetics can also enjoy the benefits of natural looking permanent makeup as well. Permanent makeup isn’t just for women either. Men lose their eyebrows too! Scars in the eyebrow, lip, and scalp can also be improved with tattooing camouflage techniques. My name is Cindy Fleagle, and I am the owner and permanent makeup artist at Permanent Cosmetic Solutions. My certifications include state licensing and permanent makeup training and certification through the Skin & Permanent Makeup Institute, in San Antonio, Texas. I also have a Ph.D. in Educational Leadership, a Master’s in Art Education, and a Bachelor’s degree in Fine Art & Graphic Design and have been using my artistic skills in one way or another for the past 25 years. Jolene after microbladed permanent eyebrows. I promise to do my best to design and tattoo realistic, beautiful permanent makeup for you. Book a Consultation or Appointment! Schedule a free consultation, a permanent makeup appointment, or an eyelash extension appointment. No prepayment required, and no cancellation charges. I just ask that you update the calendar or contact me if you need to cancel. Thank you! !